STEVI B'S Pizza franchise business opportunity. Free STEVI B'S Pizza business franchise information. Brothers Richard and Robert Stoll opened their first STEVI B'S Pizza in 1996, just outside of Atlanta, Georgia, and it's been a textbook success story for STEVI B'S Pizza ever since. "We had a simple idea...provide great food in an alcohol-free, smoke-free environment, creating a pizza buffet with the freshest ingredients and best pizza around. Make it a place for the whole family where mom and dad can relax and the kids can have fun," says Robert Stoll about his idea for a family-friendly pizza buffet. The idea worked. The Stoll brothers realized they were on to something when the public gave them the best endorsement around... guests kept coming back to their pizza buffet for more. As we say at Stevi B'S, we're all about family and fun. And part of that fun comes in the form of our game and party rooms. The party rooms give people the opportunity to host birthday parties, scout outings, church functions, school socials.... all sorts of entertaining opportunities that will help grow your customer base. Along with the party room comes a tremendously successful and popular Stevi B's Pizza Game rooms. A great hit with the kids and parents as well, these games help build repeat business and are an extra revenue source for your restaurant. 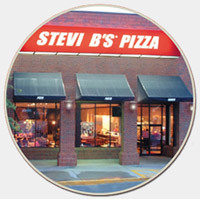 Today, the STEVI B'S way of doing business is what has made all of its pizza franchises successful. "We've created a strong brand built upon our business principles. However, we know we're only as strong as our franchisees. That's why we're there every step of the way to support them" says Richard Stoll. 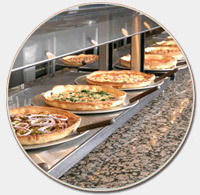 With our unique pizza offerings, salads and desserts in a fun, family-oriented "all-you-can-eat" pizza buffet atmosphere, STEVI B's is growing at a remarkable rate. STEVI B's is successful because our concept is hitting home with our customers. They love the family atmosphere, the dedicated and friendly staff, and the affordable price of taking the family out to dinner. We are looking to expand our concept into more great locations! STEVI B'S Pizza is committed to making a difference in local communities. Fund raisers, special events for schools and churches, team nights, Boy and Girl Scouts activities, all make STEVI B'S a real part of the community. The success of STEVI B'S Pizza has been attributed to the relationships it nurtures in the community. STEVI B'S strives to keep the spirit of traditional family dining alive. Since 1998, STEVI B'S Pizza has offered pizza franchise opportunities to investors looking for their own slice of the pie. Learn more today! To learn more about the STEVI B'S Pizza franchise opportunity, simply complete the form below.